I'm in Ireland on this rainy Feel Good Friday and so is our organization of the week, Focus Ireland. As stated on their website, "Focus Ireland is Ireland's leading not for profit working to prevent people becoming, remaining or returning to homelessness." Founded in Dublin in 1985 by Sr. Stanislaus Kennedy, Focus Ireland is "driven by the fundamental belief that homelessness is wrong". In the early days they provided services to young people including advice, advocacy, help with finding a home and a place for a low-cost meal. as well as housing, advice and referrals for people being released from prison. In 2017 Focus Ireland supported over 14,500 people who were homeless or at risk, including over 1000 homeless families. 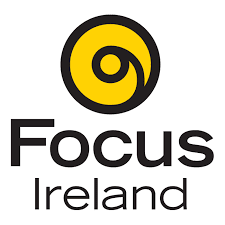 You can watch short videos of people who have been helped by Focus Ireland here. If you'd like to support the work of Focus Ireland, you can make a donation knowing that 89% of every Euro received is spent directly on services to prevent homelessness. You can also show your support by liking their Facebook page and following them on Twitter @FocusIreland.